Much of his work has focused on human confinement. 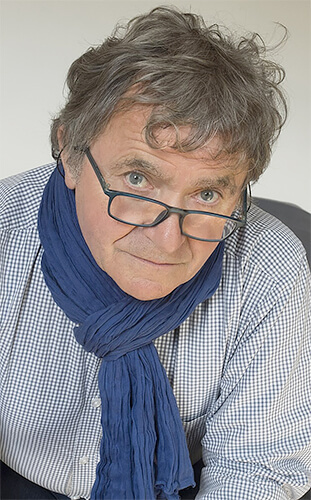 In 1975 he began work on two such projects in France: L'hôpital and Les Incarcérés, both of which were published as books. Les Incarcérés was an unprecedented project on French prisons—he was the first to receive permission to photograph them. In 1984 he made his first film, La Boucane. It was nominated for a César in 1986. That year he also began a series of trips aboard trawlers which led to his 2001 publication Pleine Mer. Beginning in 1987 he spent two years documenting Octeville-sur-Mer through the eyes of the so-called village idiot Jean-Jacques. Since the late 1980s he has also traveled often to Iran and has also traveled in Central America and Africa. He has made several other films. In recent years he has been documenting life on a nuclear submarine and has also worked on a series of mountain landscapes. In the early 1970s he married his wife Michelle and in 1975 their daughter Marie was born. Since 1995 he has lived in Fécamp, Haute Normandie. 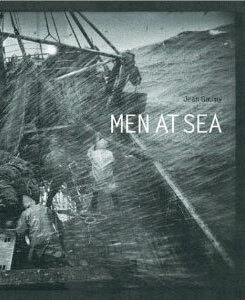 In evocative, dramatic black-and-white photographs, this compelling book depicts the seagoing lives of commercial fishermen as never before. On four long voyages between 1984 and 1998, photographer and sailor Jean Gaumy lived at sea, documenting the fishermen's daily struggle. He braved the high seas on the last open-decked trawlers, remnants of an earlier age. In his log book he renders an eloquent testimony to the end of an era. Gaumy's love of the sea, of boats, and of the thrill of the catch shines through this stirring tribute to a difficult and disappearing way of life.